Tariq is a young writing enthusiast who loves to report about current affairs, showbiz, sports, technology, business and almost all major trending topics. 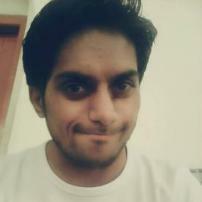 He is a Student of Business Administration and keen about current affairs and latest news from this global village. BlastingNews is a great platform for people all around the globe to share their opinion, ideas, knowledge and information and Tariq loves the BlastingNews platform which brought a revolution with Social Journalism. Tariq tries to bring the best and quality content to his readers. Workplace depression: how to overcome the problem? Would you stop using an internet service after being hacked?